Not in this interest thread. If you want something large and in charge, I have some bigger, but I am not selling those readilly due to the long build time associated with a custom build. Hit me up pm/email style if you want more details. What you are seeing are two different style projectors, but the actual projector is the same size. yeah bud, absolutely. Hit me up in a pm, I will get you taken care of ASAP, I thought you figured out the problem and got them working again lol. Post up some action shots if you have them. lol.....no, your lights are definitely not part of this group purchase. That was definitely a build I could live without doing again. Here is an unfinished pic for good sportsmanship though. How are you removing the lenses from teh sunfire lights, i tried the over thing with mine and the back parts of the light seems very brittle. The short answer is very carefully, lol. It is very brittle plastic on these, and takes a lot of time and patience (and heat). Nope. never was able to figure out the problem. I think I may have accidentally had multiple shorts that fried more than one thing. yeah bud, well get you fixed up. Those look awesome! I am officially interested in these! 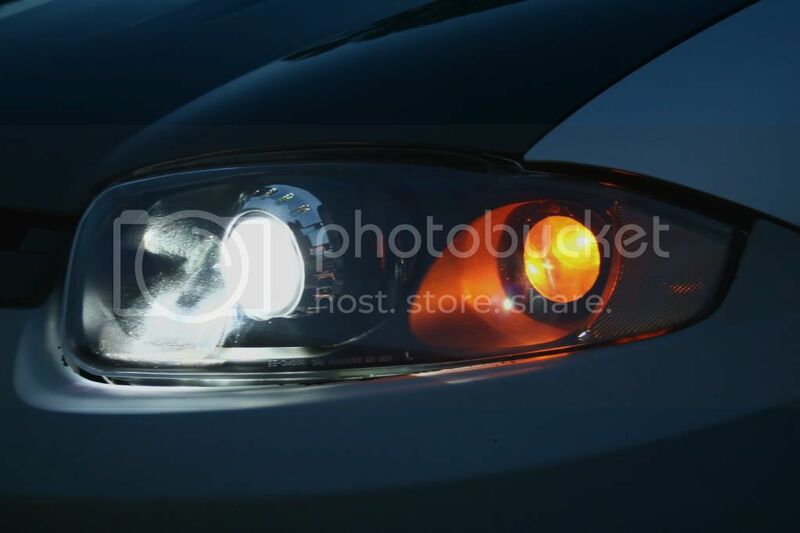 John, I just bought a set of black headlights for my 01 Z24, what would it cost if I sent you these lights to do a retrofit just like you did on CLC and Blindz24's cars? It would be about $250 + shipping. Just a heads up for all you guys that might have questions. John has been amazing to work with and I can't think him enough. 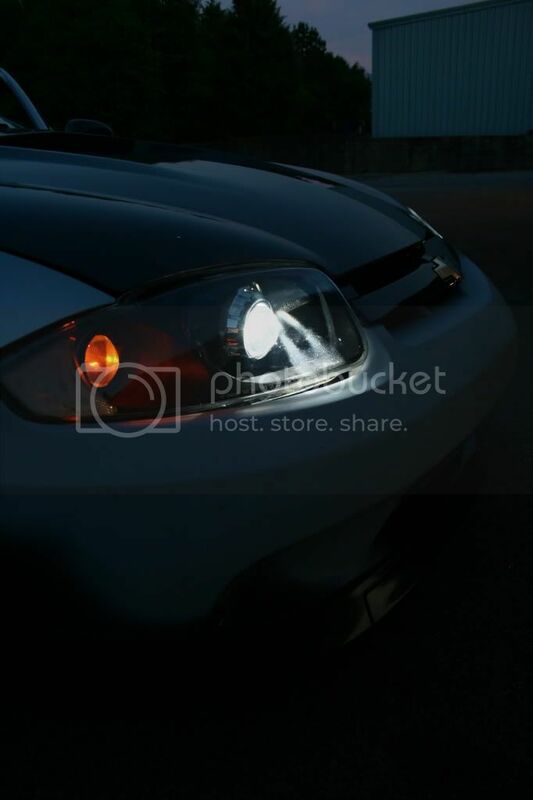 The pictures you guys see of the 03+ Sunfire headlights are of mine. I don't have any other pics that I can contribute right now, as I ran into a wiring harness issue after having them installed for only a couple of weeks. John is currently working on getting me fixed up and once that occurs, I will take plenty of pictures for you guys. Thanks again for your dedication and hard work Hon. Alright thanks man, i'll let you know when I'm ready to do it! I'll play. Were any of those pics mine? 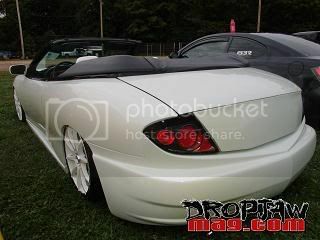 I need a set for my 02 sunfire, so I'm definitely down for this! The first set is painted black, price depends on what color angel eye you want in the high beam spot (assuming you want one). Without the extra angel eye, $350 + shipping. Sounds good. I would like to start a list of people seriously interested, that would buy a set as soon as I started a GP. If this is you, sign up, give your year/make/model, and any specific options you want. The style show (custom mount projector with bmw bezel and custom shroud) I am no longer offering, especially in a GP type setting. If you are seriously interested in them, pm me when you are ready, and I will see what I can do. Guess I will have to wait for my tax return. Also john, on the "Larger" style projector, have you ever flipped the accent lighting rings around instead of facing them into the back of the headlight, into the actual projector? 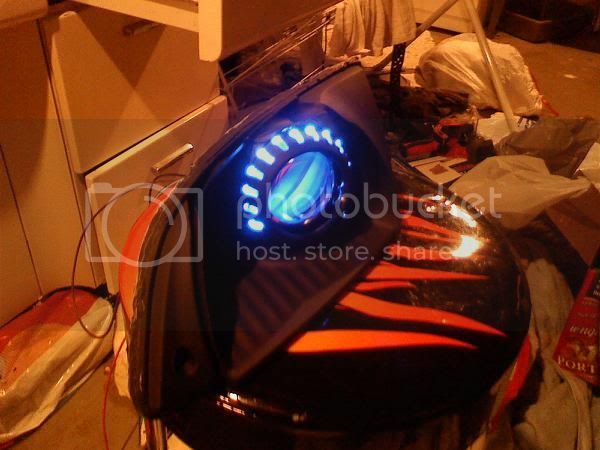 I'm making a custom setup for a harley were doing at work and did that for a cool effect. This video was in mockup stages so all the bleed through around the projector has been taken care of. Thought I'd mention it.